Now that we’re into the second month of 2015, it’s beginning to feel like we’re stuck in the middle of winter. The worst is (hopefully) behind us, yet February and March can still bring some sketchy weather, at least if you live in the Midwest. Am I right or am I right? And those pesky New Year’s resolutions…how are they going for you? While I don’t make resolutions, but rather goals, I have to admit that I’m not quite where I want to be yet. One of my goals is to stick to a healthier diet. Now don’t get me wrong, I don’t eat horribly, but I would like to sneak in some more fruits and veggies when I can. But when I make things like these Baked Red Velvet Donuts, Creamy Mac ‘N Cheese, or my new favorite dessert, it’s hard to stay on track. Know what I mean? That’s where smoothies come in. 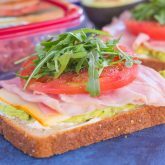 They’re healthy, easy to make, and can serve as a quick breakfast or mid-morning snack. Even in I indulge in a few extra sweets, I automatically feel healthier when I whip a smoothie. I mean, they cancel each other out, right? 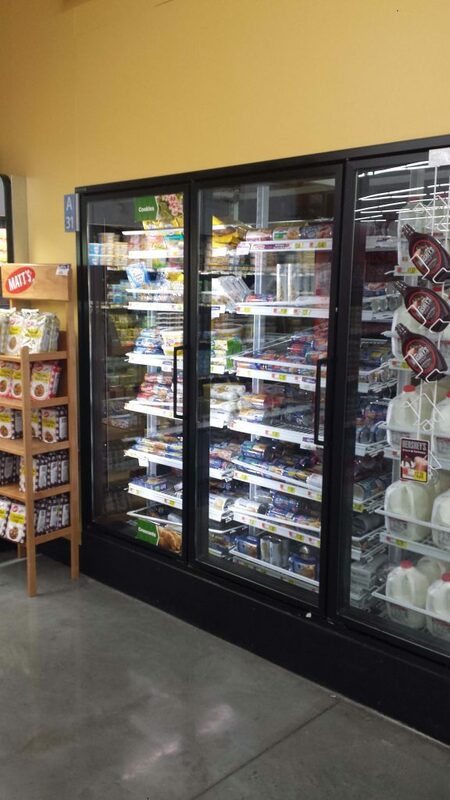 When I was doing some last minute shopping at Walmart last week, I came across one of my favorite brands, Pepperidge Farm. Did you know that they make sweet rolls? I didn’t know that either, so after I saw these Pecan Caramel Sweet Rolls, as well as these Apple Cinnamon Rolls, I just knew they had to make an appearance in my shopping cart. And because the hubster and I go through a bottle of orange juice every week, I stocked up on my favorite, Tropicana. 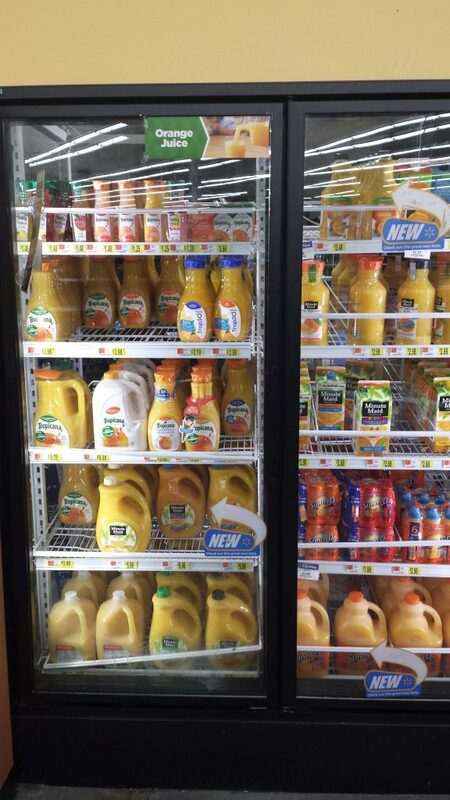 Since it’s made with 100% Florida Orange Juice, I always feel good (and healthy) whenever I drink it. So when I got home, I was eager to pop those Pepperidge Farm Sweet Rolls into the oven. But because I’m trying to eat on the healthier side, I decided to make a creative twist with the sweet rolls and orange juice. And the first thing that came to my mind was, you guessed it, a smoothie! 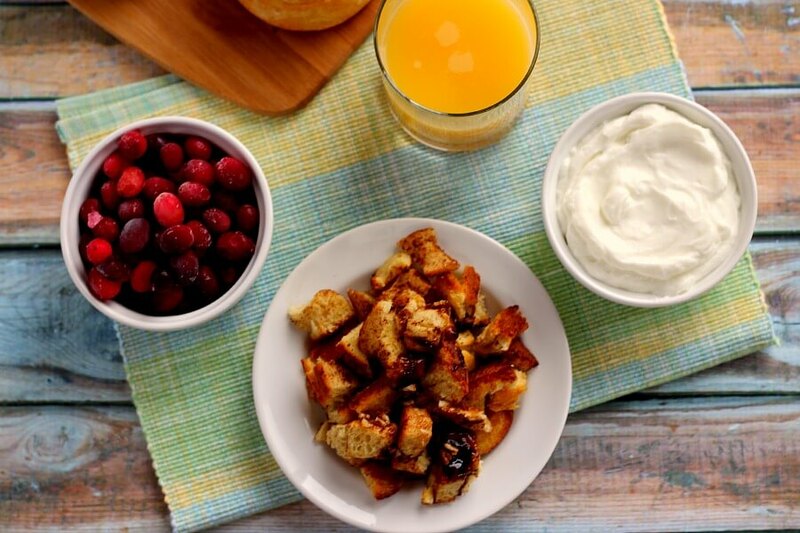 A little fruity, a little sweet and with a whole lot of flavor, this Cranberry Orange Sweet Roll Breakfast Shake was born. 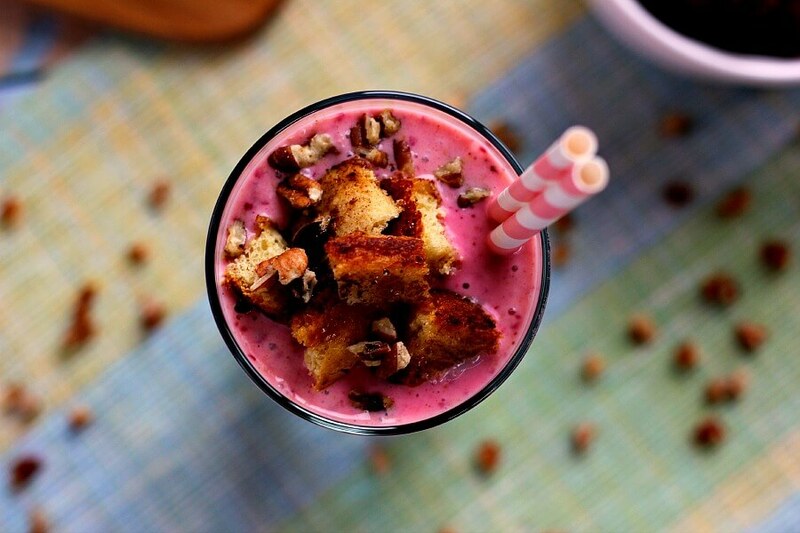 The name of this Cranberry Orange Sweet Roll Breakfast Shake says it all. Frozen cranberries. 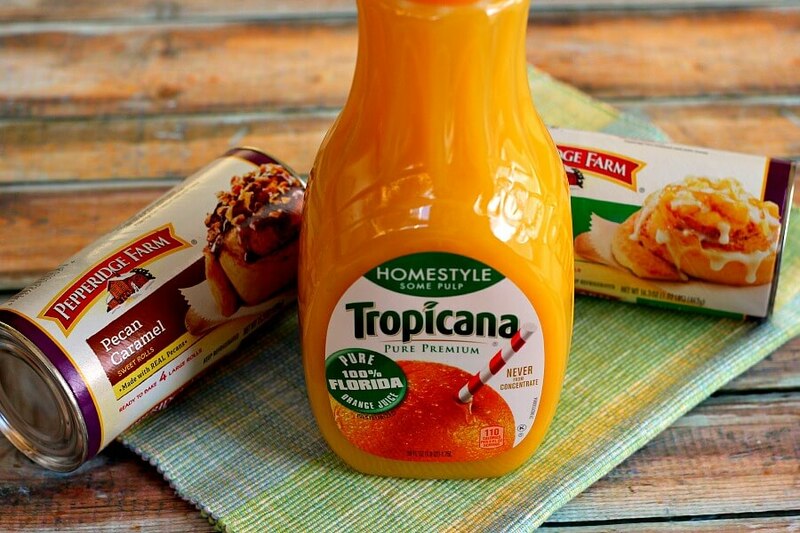 Tropicana 100% Pure Florida Orange Juice, vanilla Greek yogurt and a sprinkling of Pepperidge Farm Sweet Rolls creates a thick, healthy, and satisfying drink. So easy to whip up and brimming with flavor, you’ll be sippin’ on this drink in no time! The prep time for this breakfast shake couldn’t be easier, friends! 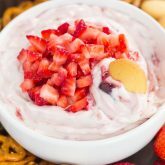 Simply combine some frozen cranberries, orange juice, vanilla Greek yogurt, and your flavor choice of Pepperidge Farm Sweet Rolls (I chose to use the Caramel Pecan flavor), and whip it up in a blender. Within minutes, this healthy breakfast shake is ready to inhale! Smooth, creamy, and bursting with just the right amount of sweetness, this Cranberry Orange Sweet Roll Breakfast Shake will fill you up while keeping you on the healthy track. The cranberries and orange juice make the perfect, sweet combination. And the sprinkling of sweet rolls on top is just the right amount to satisfy your sweet tooth, while keeping your breakfast healthy. You gotta keep those New Year’s resolutions in check, right? Smooth, creamy, and bursting with just the right amount of sweetness, this Cranberry Orange Sweet Roll Breakfast Shake will fill you up while keeping you on the healthy track. Like what you see? Be sure to check out Warm Up Your Day! 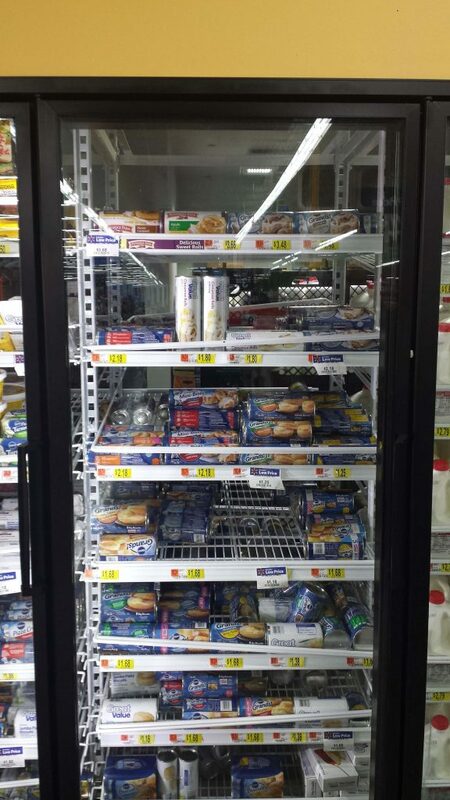 Then head out the door to your nearest Walmart to find the collection of Pepperidge Farm Sweet Rolls and Florida Orange Juice! 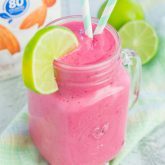 I love the beautiful pink color of this smoothie, Gayle! And I love even more that it's topped with a delicious sweet roll! :) I've never thought about putting the two together but it's absolutely genius :) This sounds like an absolutely delicious breakfast! Hope you are having a wonderful week!! Pinned! It's definitely an interesting combination, but so tasty! :) Thanks for the kind words and pin, friend! Thanks so much, June! It definitely hit the spot! You put a sweet roll in a smoothie? And you're posting on Tuesday? Crazy times, Gayle...the world is upside down. In a good way! 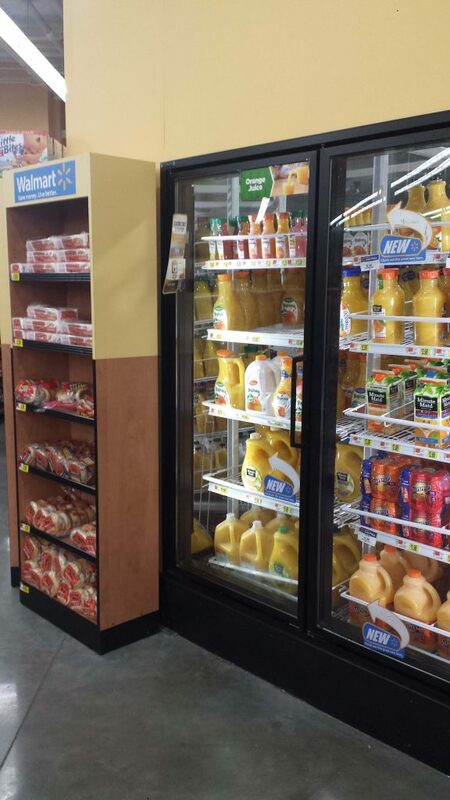 Smoothie and a sweet roll? Now that's creative! Looks so good, Gayle! And your photography is beautiful!! Thanks so much for the compliments, Annie! We are definitely smoothie buddies! Maybe we need to form a club! :) Thanks for the kind words, Sarah! What a great idea for a smoothie! Love the flavors! This looks really good! I love a good smoothie! What fun to have the sweet rolls on top! Thanks, Kelly! I had fun making this! 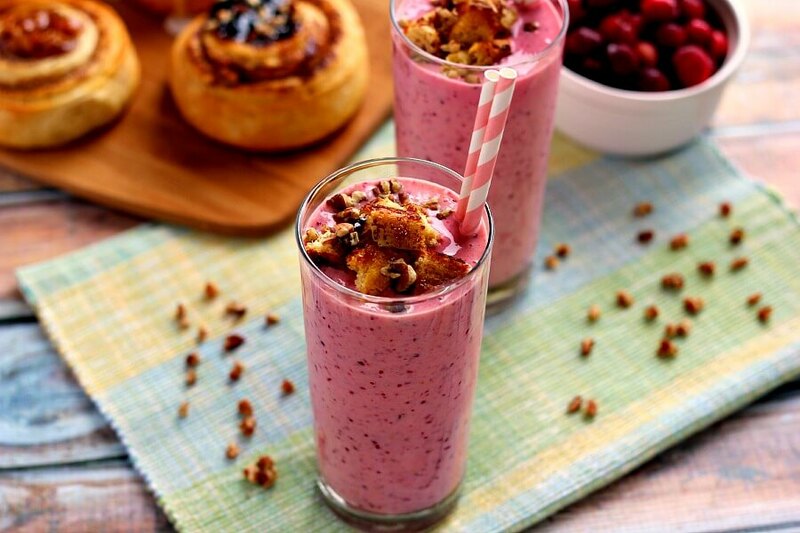 How fun to add sweet rolls to a smoothie! It sounds delightful, Gayle. Pinning! It's a great combination! Thanks for the pin, friend! Thanks, Christina! I love the pretty color too, definitely perfect for this shake! Now THIS would get me out of bed in the morning. A smoothie with practically a cake in it? Such beautiful colours too. I agree, Dannii! Thank you! This is how you should start a day. Wow! Great idea, I will make it tomorrow morning. Thanks! I hope you love this shake, Cecilia! Thanks so much for stopping by! Looks perfect Gayle!! Love the color and added sweet rolls. Yum! ;) Pinned! Sweet roll in a smoothie?! Stop it! This is too good! Dear Lord woman! I'm pretty sure this is the most beautiful smoothie I've ever seen! Thanks so much, Justine! I had a blast making (and drinking) this! Oh my god Gayle you are seriously making me drool here - this smoothie is incredible! I just LOVE that you added a sweet roll and can only imagine how good this must have tasted. 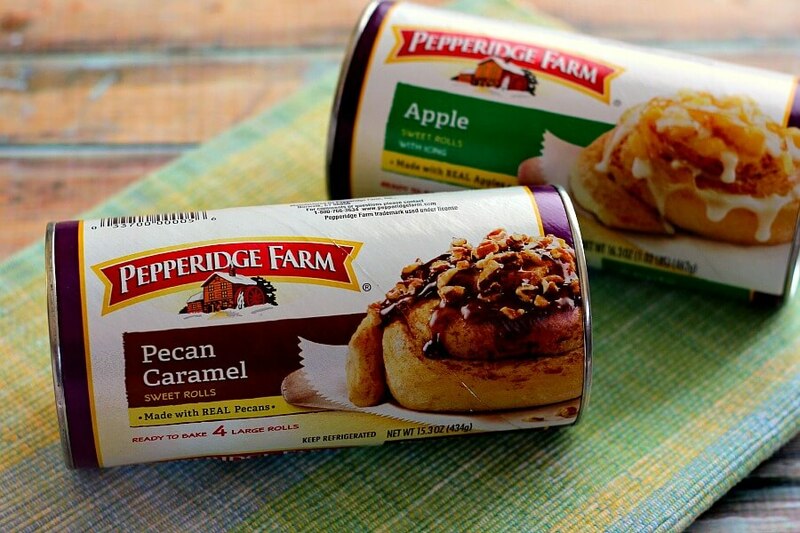 Wish we had Pepperidge Farm sweet roll products here in Australia so I could make this. Cranberry orange is such a wonderful combination! What a great idea for breakfast or a mid morning snack or post workout snack. Smoothies are even fun to make! Thanks for the kind words and for stopping by, Laura! Smoothies are definitely fun to make (and drink)! Oh my wow lady! A sweet roll in a smoothie??? Heck yes!! Love the cranberry and orange combo! It looks gorgeous! That one's mine right? Whoa, what a fabulous idea!! 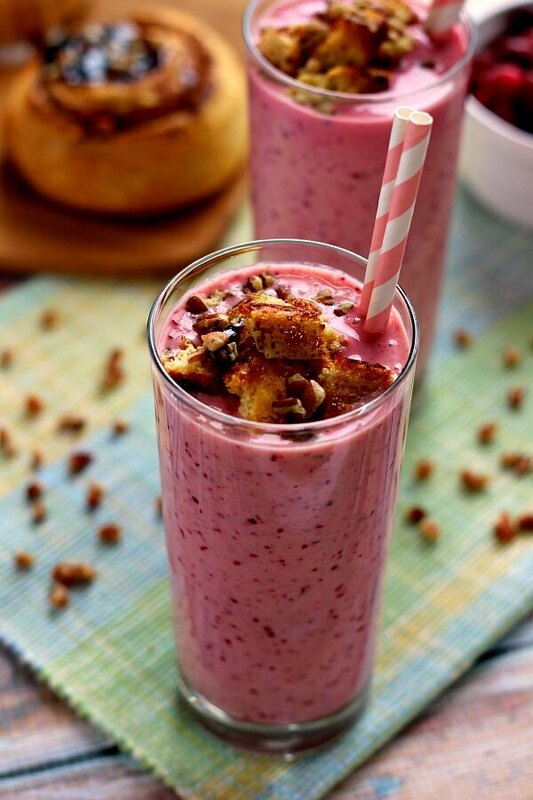 Love the thought of eating pecan rolls in a smoothie, and what a gorgeous color! What a beautiful and totally yummy looking treat!! I love the flavors! I never thought to add a sweet roll to a smoothie. Gonna have to give this a whirl. Pinned! Thanks for the pin, Mariah! I hope you love this if you try it! I like your thinking, Allie! It definitely isn't too heavy on the carbs! Thanks so much for the kind words! Thanks for the pin, Andrea! Can I put this smoothie in a bowl and eat it with a spoon? This looks too good to be true. :) I love cranberries and am so sad that the fresh ones are seasonal. I like the idea of using frozen cranberries in this smoothie though. I'm sure the tartness of the berries are balanced nicely with the yogurt and oj! It's definitely worthy of a bowl, Erin! Thanks so much for the kind words and for stopping by! What a creative smoothie! LOVE that you put a sweet roll as a garnish - too much fun!!! I just love the idea of this smoothie, looks fantastic! And these sweet rolls are on my shopping list! Pinned of course! Thanks so much, Mira! This smoothie is fantastic! Gayle! oh my gawd, those sweet rolls look soooo good!! 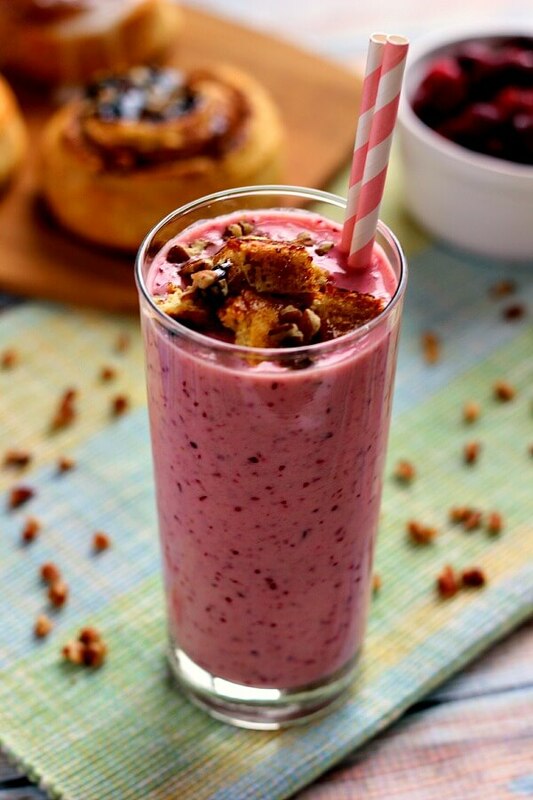 LOVE the idea of putting the sweet roll chunks on top of a smoothie!! The best of both worlds, love this! Thank you, Alice! It's a tasty start to the day! that's such a fun idea to combine sweet rolls in a smoothie Gayle!! yum! 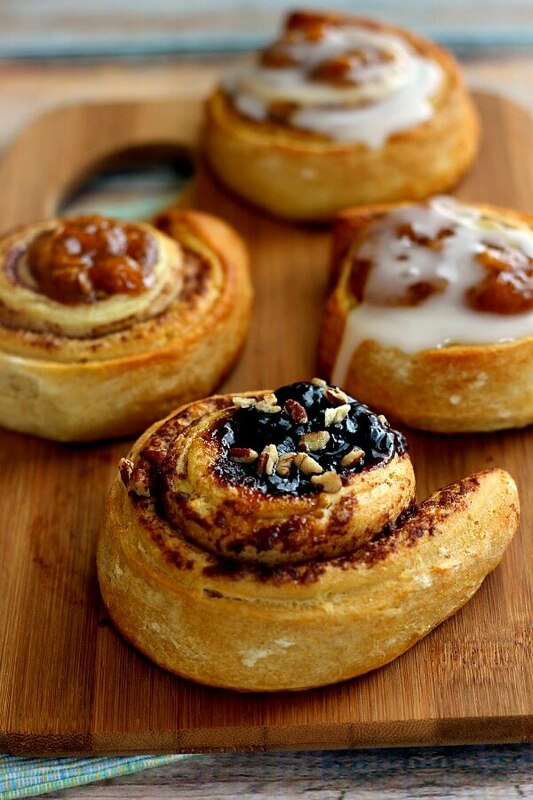 What a fun and creative way to use sweet rolls! I love cranberries and OJ, so I know I'd love this smoothie. Sounds like this smoothie was meant for you, Linda! Thanks for the kind words! Great idea, Gayle! I love smoothies for breakfast, and this all-in-one smoothie is so my taste!! I made a similar smoothie, but never would have thought to top it with a sweet roll! Wow! this is SO prettyyyy! I love the color ;-) and the toppings I mean how delish! 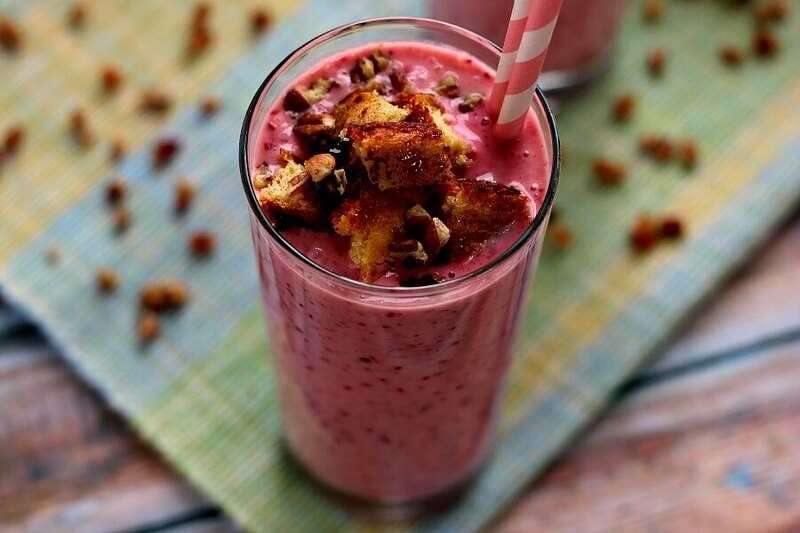 Smoothies are the perfect breakfast food. The mix of cranberry and orange is delicious! I love the color of this smoothie from those cranberries! I'm all about smoothies right now (even if it is freezing outside). Sounds fantastic! Goodness Gracious....that's a whole lot of flavors packed into a smoothie! It's the best, Kathy! Thanks! February is usually when we have sketchy weather in Florida. It's going to be in the 60s for highs and 40s and 30s for lows for the next week. And I'm in South Florida so it's not normal! My boyfriend grew up in Northern MN so I've heard stories about how brutal it gets in the Midwest. Hope it starts to warm up for you soon! 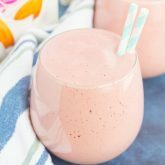 Cranberry orange is one of the best combos ever so I'm sure this smoothie is outta this world amazing, especially with that sweet roll topping. GENIUS! I'm so jealous of your weather, Julie! Send some my way, please! :) Thanks so much for the kind words! WOW! What a creative idea!! Such a unique combo! :) I used to work at this beach cafe thing over the summer and one time a friend and I decided to blend one of there famous sweet rolls into a shake! hahah, it tasted like Ben and Jerry's Cinnamon bun ice cream! ...only you could taste the dryness of the bun in the milk shake... weird... much better idea to put it on top! That sounds delicious, Cailee! Thanks for the kind words! Cranberries and oranges ... mmmm, that sounds like such a beautiful combo! And I love the sweet roll 'garnish' idea, too. It makes you think you're having something truly decadent but really this is nice and healthy. Happy Valentine's Day, Gayle! Thanks, Helen! It's a sneaky little healthy treat! Thanks for the smoothie love and pin, Katie! Wow, I am so trying this Gayle. This smoothie sounds so good. What a great treat. Whaaaaaat???? Cinnamon rolls in my smoothie!?!?! Yes, please!! LOL, that's my kind of smoothie! I bet those rolls made your house smell AMAZING! My house did smell great! Thanks, Jess! Yay! Love new smoothie recipes. Can't wait to try this!